Learning how to Lace Vans correctly is vital for both Skateboarding and for Style. Vans, in our humble opinion, are some of the best skate shoes that you can buy. There are loads of styles to choose from, many of these styles last a long time, they feel great and are designed to be skated in. They also look great, and in recent years there has been a rise in popularity with Vans. This rise has meant that many people are buying Vans for their style and not their function. However, they still make great skate shoes. If you have just got your first pair of Vans then congratulations, you have just purchased some of the best skate shoes in the world. Are Vans Laced Out Of The Box? Yes, usually they are, however, don’t be too worried if they’re not. If you’ve just opened your Vans box and discovered that they do not come laced, you may be wondering how to lace them and if there is a right or wrong way to lace them. Well, you’ve come to the right place. In this article, we are going to talk about how to lace your Vans the right way. Before we get to the ways of lacing your Vans, we want to say that this lacing guide has nothing to do with style or looking cool, there’s plenty of articles about that. We’re going to tell you about how to lace your Vans for the best skate possible. 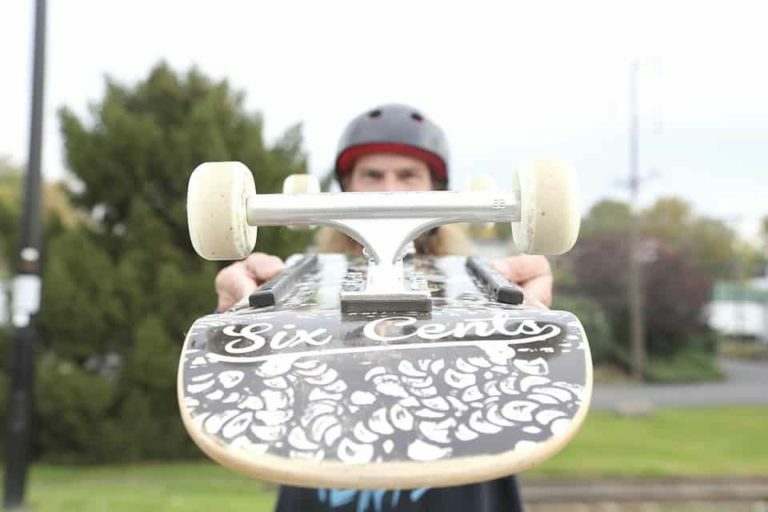 Vans are designed to be skated, but that doesn’t mean they come out of the box ready to skate, just like your trucks, they need a little bit of work before they are ready to shred. Customising your Vans so that they fit your feet correctly means that you don’t have to think about anything other than your tricks. Of course, you still need to wear your Vans in, but lacing them the right way for your feet from the beginning means that you can wear them in quicker and get skating the way you want to skate quicker too. Cross lacing Vans is the most practical way to lace your Vans for Skateboarding. Now, there are two ways of cross lacing Vans that improve their function for skating. One way makes your vans slightly looser than the other. Which way you lace them depends on your feet and your style of skating. 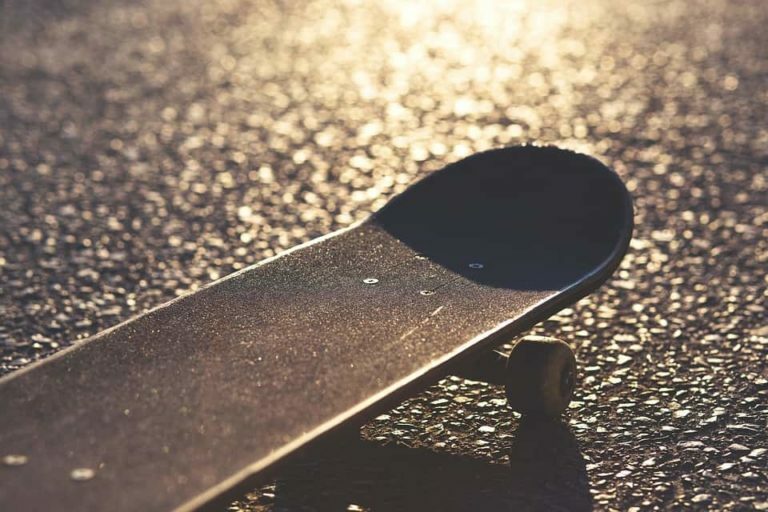 You see, lacing skate shoes correctly is all about them molding to your feet so that you have total protection when you skate, but that your feet are still free to move and conform to the concave of your board. 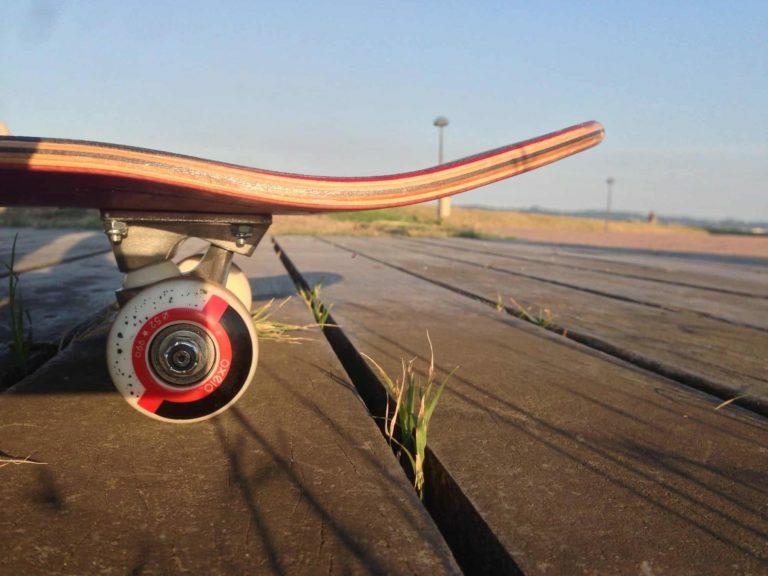 You need this freedom to flick your tricks, feel comfortable and have a good time on your board. So, if you have wider feet or a gnarly foot, you can use the looser fitting lace up below, which does still provide a tight fit but allows you to get your feet in your Vans comfortably. Or if you have skinny feet, you can use the tighter fit below. It is worth giving both a go to see how your Vans feel on your feet. It is also worth noting that these lacing techniques will not help if you buy the wrong size Vans. The leeway that these lacing techniques provide is not enough to take up the extra space in the wrong size shoe, they are simply a way of molding the correct size shoes to your feet so that you can skate properly. Not all feet are created equally. When I was 16 I broke my foot half cabbing a stair set, I now have a lovely piece of bone sticking out the side of my left foot, meaning I need to lace this shoe differently to the right! The right can be tight so that it molds to my normal foot, the left needs to be looser so that it can mold to my ugly, Frankenstein foot! This way is great for people with wide feet or people with damaged feet. For this lacing style, you can leave the laces as they are in the box. Undo the laces and then thread a piece of the lace through the front side of the first eyelet. Then repeat this with the other piece of lace. You’ll notice that the laces are bending in towards the inside of the shoe. Repeat this until the laces are threaded all the way up to the top unless you have a pair of Old Skools. This way of lacing up Vans is perfect for a looser fit that is easy to tighten up too. Because of the way the laces lay in the shoes, you can really pull down on them, so your shoes mold to your feet. They also help if you have wider feet as your shoes are easier to put on and yet you can still tug on your laces and get a snug fit. If you have a pair of Old Skools, you may want to stop two eyelets from the top, this will allow your ankle more movement and is how most people lace up Old Skools and other shoes like TNT 5’s, for example. The decision, of course, is yours. This way of lacing means that you have an overall tighter fit with your shoes, but you are slightly more restricted with how much you can crank down on your laces. This technique is great for people who like a tight fitting shoe, but those who don’t have wide feet or odd feet like me. This works well for achieving a very repeatable tightness for those with “normal” feet as you can’t crank your laces down as much as the other technique above. This way is slightly less effective for the masses, but some people prefer it. To tight lace your Vans, you’ll have to take the laces out of your shoes completely before you begin. You then want to thread the lace back through both of the first eyelets so that it is laying inside the shoes. Then start threading the lace in from the backside of the eyelet. Keep going with this until you are finished with all the eyelets you want your laces in. For us, the looser fitting technique works the best as it allows you to skate your shoes lose, but you can also pull your laces tight and mold your shoes to your feet. This makes this technique great for when you are breaking in some new Vans. It gives the Vans the biggest range of movement so that you can keep tightening them down as you break them in. It also means that as you skate in them and they start loosening up, you can crank down on your laces and this will mean that your Vans mold to your feet and will feel better and better each time you skate them. OK, OK, I know we said this article was going to focus on how to lace Vans for Skateboarding and not for fashion, but for those of you looking for tips on how to bar lace or how to straight lace Vans, this little video tutorial below shows you exactly how to do it. Which Way Do You Lace Your Vans? We urge you to give both techniques a try to see which lace technique works best for your new Vans. They are both great, but it really depends on how you like your shoes to feel and the shape of your feet. Don’t forget to check out our skate trick tips while you’re here so that you can try a new skate trick while you are wearing your new Vans in. 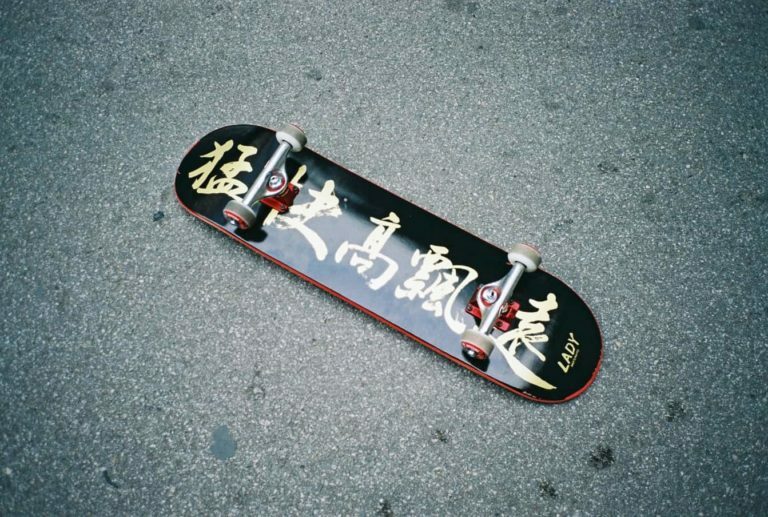 We also have a bunch of awesome skate gear on here that you have to check out. Scott has been skating since 2000 and has loved every minute of it. He was previously sponsored by a local skate company but now rides for pleasure. When he’s not skating he works as a freelance writer and woodworker.